TIRED OF THE USUAL HUSTLE AND BUSTLE OF WHITE BEACH? THEN YOU'LL FEEL RIGHT AT HOME IN SHAMBALA TERRACES. 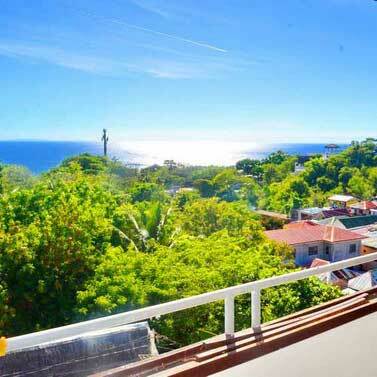 Shambala Terraces offers a fresh and relaxing alternative to the busier beaches of Boracay. 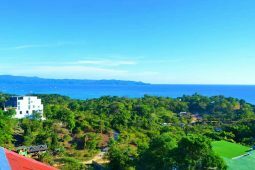 Located on the quieter side of Boracay on the hillside of Balinghai, it is a 10 minute tricycle ride away from the island center and only a 20 minute tricycle ride to Cagban Jetty Port. 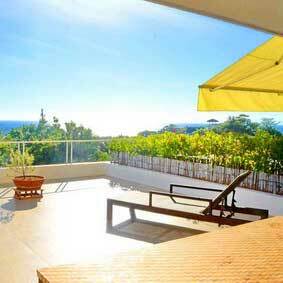 Guests can also access a secluded, private beach situated near Balinghai. 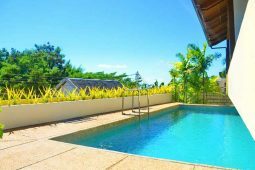 Beach addicts will love the fact that Shambala is just a short ride from Puka, Diniwid and Ilig-Iligan Beaches. 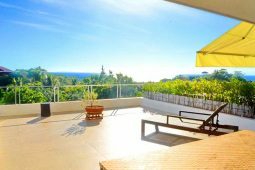 The 7-unit apartment property features a refreshing dipping pool & huge terraces where you can lounge on the beach beds and soak up the sun or simply enjoy the sunset. The apartments come fully furnished with all the conveniences of home and its wide open spaces will put you at ease. 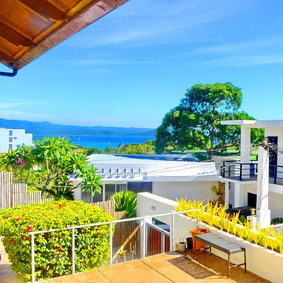 If you’re planning for peace, quiet and a REAL island vacation, come to Shambala Terraces! We are happy to help you with your Boracay Vacation! The perfect getaway to get some rest and relaxation with a peaceful retreat from the busy White Beach, but also close enough to get lots of action! 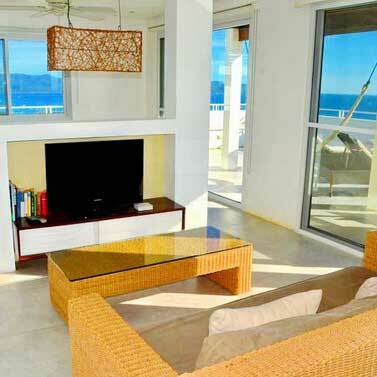 We have 7 well-appointed apartments to choose from that will suit your vacation needs! Each of our apartments comes fully equipped and furnished with all the comforts of a modern home. Everything you need is ready for your stay. The villa comes with a living room entertainment system, kitchen appliances, basic cookware, silverware — all provided for your convenience. 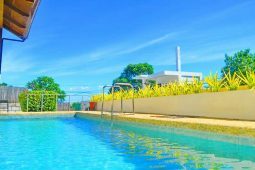 We aim to make your Boracay stay as pleasant, and as homely as possible. 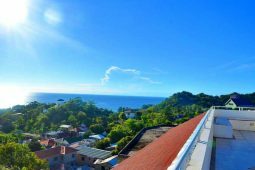 Excellent value for ocean view apartments. 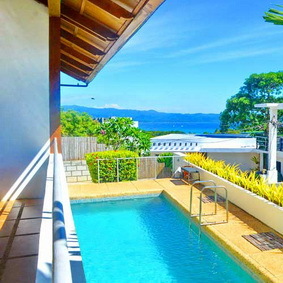 With the beach 15 minutes away, chilling on the terrace is likely where you will spend a lot of your Boracay vacation. Stay with us, and save your budget for watersports and beers! Guests love our excellently maintained freshwater swimming pool. The pool is exclusively for the seven Shambala Units. A small overhang provides partial shade ‘cause you know the Philippines can get hot! "Perfect place for those who want some distance as well as peace and quiet away from the stations. You also get an up close view of life away from tourist areas while enjoying first class accommodations and hosts." The place was simply amazing. 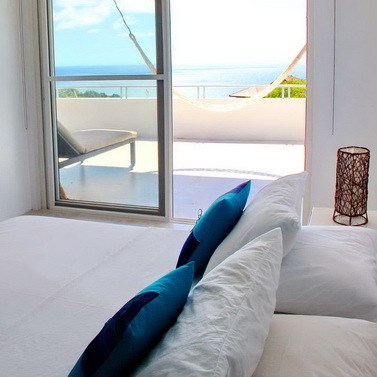 It is ideal for a relaxing trip as the area is a laid back type of environment away from the hype in the main beach. The host was very alert and the in house helper as well whenever we need a transportation. Will definitely come back! The place as amazing! And must try Balinghai beach! Reception girl was very nice. Very good experience. 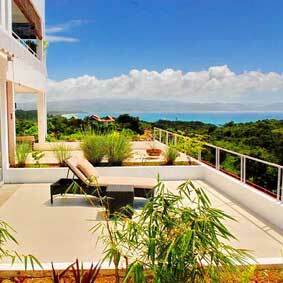 Shambala Terraces – Boracay Apartments are boutique residences on Boracay Island Philippines. Built in 2008, and remodelled in 2017, Shambala has 7 unique apartments. 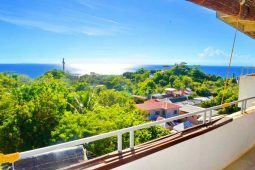 Our apartments are known for the large ocean-view terraces, quiet location away from Downtown, excellent value, and beautifully maintained private swimming pool.